"Let us consider how to stir up one another to love and good works, not neglecting to meet together, as is the habit of some, but encouraging one another." Join us May 4–11 as we serve at Circle Urban Ministries/Rock Church in Chicago. Men and women of any skill level are welcome on this work team as we do maintenance/renovation on their ministry building complex. The projects can vary from cleanup, organizing and painting to light construction and general maintenance. Visit and sign up at the display table in the Foyer throughout February. Come to an informational meeting on Sunday, March 3 at 12:15 PM (shortly after Mosaic Service) in Room 112/113. 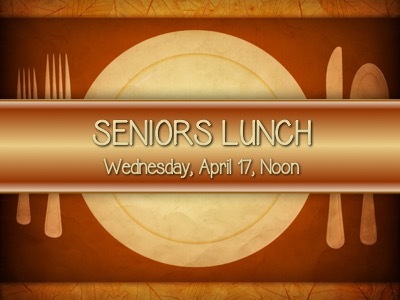 For more information, contact Larry Carlson at 763-533-8057. Women, we’re getting together for an evening out. Join us for supper at 5 PM at the Elk River Chipotle. Then we’ll head to the Elk River Cinema to watch “Unashamed” at 7 PM. Pre-purchase ticket here. Looking forward to a night of laughs and fellowship! More clinic evening hours to accommodate working women. Increased internet advertising to reach more abortion-seeking women. Help us make this “Walk For Life” our most successful one yet! Last summer, readers of the local newspaper, the Sun Post, voted Revive Church as the BEST VBS in Brooklyn Park! Come check us out…July 15-19, 9:30 AM-12:30 PM. Details to come! We’re getting ready for an awesome weeks at camp having fun while learning about Jesus! SUPER KIDS: July 28–August 1: Register online or with a paper copy by April 10 to Leanne Klein! SENIOR HIGH: July 21–26 AND JUNIOR HIGH: August 4–9: Register online. We’re gearing up for a weekend away with friends and Jesus to recharge! Mark your calendar for November 1-3 at Arrowwood Lodge in Baxter. Questions? Email the Women’s Ministry Team. Please join us Easter weekend! 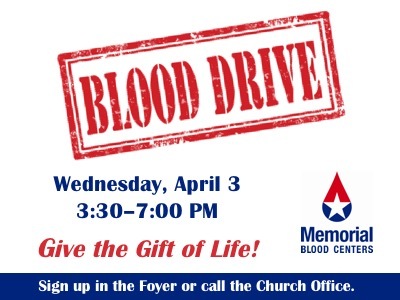 Memorial Blood Center's bus will be here on Wednesday, April 3 in the afternoon. Please consider giving blood—you can save a life! Sign up at the Care Kiosk or Info Desk in the Foyer at Church or contact Parish Nurse Judy Petersen by email. We’re planning a time together to see the movie Unplanned. It’s showing on Saturday, March 30 at 3:40 PM at Rogers Emagine Theater. We will have dinner following at Noodles & Company. Pre-purchase tickets at unplannedtickets.com to guarantee a spot and choose your seat. Note: Movie is rated “R” because of disturbing images of an aborted fetus. If you’re new to Revive, this is a great opportunity to meet Pastor Mark and other staff. Sign up at the Info Desk or email info@bpefc.org. Daylight Saving – Change the Clocks! Lighthouse Ministry International is once again offering a Spiritual Warfare class this spring here at church. The study meets Thursdays, March 7–April 25, from 6:30–8:00 PM. There is a suggested donation of $25 for registration and $10 for the study guide. Register at the door. For more info, check out their website: LighthouseMinistryIntl.org. The snow has been messing with our schedule, so we’re going to extend the study a bit. As we have mentioned since we started, we will not be meeting on Wednesday, February 27. See you on March 6. We got snowed out last week, so we’ve reschedueld to the 27th! See you there! This is a time for our church family to talk about family business. Members, please be sure to attend. Regular attenders are welcome to be there, too. Agenda items include ministry updates, new members, financial report, etc. Full agenda here. If you want to play a better game of chess, come to the Chess Camp on Saturday, February 9, 8 AM-Noon. We will review strategy, tactics, openings, middle games and end game. We’re gearing up for a new study on 1 Peter. Our inheritance through Christ is imperishable, undefiled, and unfading. In 1 Peter, a man of faith and flaws and eyewitness to the life of Christ challenges us to look beyond our current circumstances to a future inheritance. He shares his concerns on big picture issues for the early church, describes believers' true identity in Christ, and ultimately helps readers discover what it means to experience the Living Hope they have in Christ. Key themes of humility, submission, and identity in Christ guide the study of 1 Peter as participants are challenged to read the book in its entirety each week. Join us Wednesdays at 9:30 AM or 6:30 PM beginning January 23. Sign up in the Foyer on Sundays. Book Cost: $15. Stephen Ministry is a one-on-one ministry to help those who are hurting or going through a loss of a spouse, loss of a job, loss of a child, crisis in a marriage or possibly a financial crisis. Our training sessions will meet on Thursdays at 6:30 PM, beginning January 17 and go through April 6. This training is very good for those who are in leadership either at the church or in a place of employment. You will find Stephen Ministry helpful in your relationships especially with those who are hurting. Check the Care Ministry Kiosk for more information, a sign-up sheet and a training schedule. 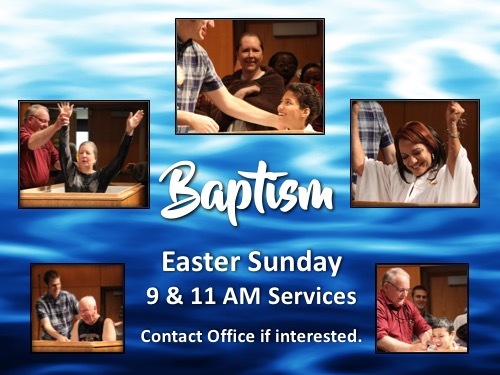 Contact the Church Office if you have questions about the ministry or call Theron Fraser directly at 612-508-5579. Jesus unleashes the power of the Holy Spirit upon His people. The Book of Acts records this historical impact in the lives of people, cities and continents and lays the foundation of God’s work in our present day. In this study, you will meet the key personalities of the book and visit the locations with multimedia presentations where it all happened. Learn what the Holy Spirit’s pattern has been and still is for our day in exalting Jesus Christ and building His Church. The Spirit who was at work then is still at work today! He wants to use you in this generation. Plan to attend on Wednesdays from January 9–March 6, from 6:30-8 PM. Bring a Bible, notebook, and pen. Childcare provided through AWANA. Sign up at the Info Desk or by email.